If you own an Obsolete AMP or MOLEX Smarthouse you already know that this technology has been obsolete since 1996. And you have probably had trouble finding local contractors or parts to help you with lighting failures that are becoming unbearable. GOOD NEWS: We can help you end that CURSE! If you need on-site assistance we prefer to consult with you or your choice of local licensed contractor. However we can do the on-site work for you. If you prefer us to to do the work for you there will be added costs and a delay while we get a business and contractors license for your state (unless you are in our state of South Carolina). In some states it could take up to 2 years to be awarded a contractors license. As an option we will charge you for travel to your location only and provide FREE consulting while on-site. This is by far our clients most popular choice as there is no delay. Listed below are three choices for our services (the purchase of required parts and material is NOT included in any of these options). 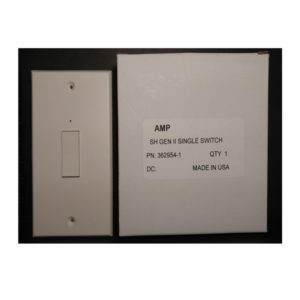 CHOICE 1: (Lowest cost) We can supply replacement parts for your Obsolete Smarthouse. We do not recommend replacing failed obsolete parts with more obsolete parts (but all parts are on this web site). 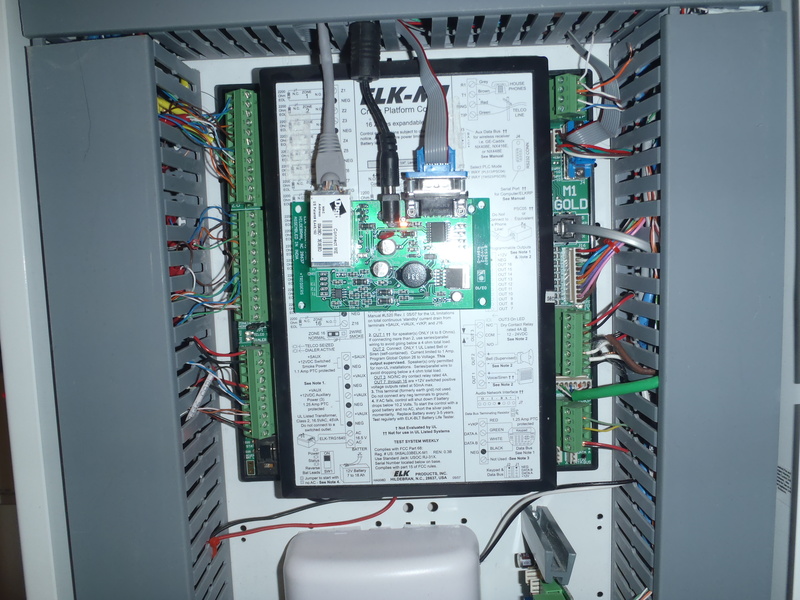 See our AMP & MOLEX Smarthouse conversion options FAQ for more details. 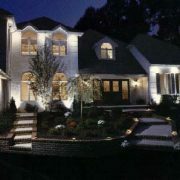 CHOICE 2 (Best Choice if You want a New State of the Art Automated Home): We can consult with you and or your choice of licensed electrician or low voltage technician on how to use the existing wiring to CONVERT your home to a state of the art home automation system (with parts that are readily available). On the typical size home, we can travel to your location and consult with your choice of licensed contractor on how to use the existing wires to complete a conversion (no drilling, no new wiring, no dry-wall work). This normally requires only two days onsite. CLASSROOM TRAINING: We also offer classroom training on this conversion for you or your contractor in our South Carolina Automated Classroom. This is not the best choice because no two Smarthouses were ever wired or configured the same. Teaching how to do a conversion should always be done at the site, not in our classroom. When doing a FULLY AUTOMATED upgrade/conversion teaching the setup and operation of the automation controller takes 3 to 5 days onsite or 2 days in our South Carolina classroom. See the details of this training here. Larger Homes and or homes with advanced automation will take more of our consulting onsite consulting time and increase our travel costs. CHOICE 3 (Cheapest, Fastest Choice): We can consult with you and or your choice of licensed electrician or low voltage technician on how to use the existing wiring to CONVERT your home to a LIGHTING ONLY system (with parts that are readily available). On the typical size home, we can travel to your location and consult with your choice of licensed contractor on how to use the existing wires to complete a conversion (no drilling, no new wiring, no dry-wall work). This normally requires only one day onsite. CLASSROOM TRAINING: We also offer classroom training on this conversion for you or your contractor in our South Carolina Automated Classroom. This is not the best choice because no two Smarthouses were ever wired or configured the same. Teaching how to do a conversion should always be done at the site, not in our classroom. However for LIGHTING ONLY conversions this option is often chosen. Includes travel costs to and from your location and free On-site Training & Troubleshooting for your AMP or MOLEX Smarthouse lighting system and related control electronics for one person for a one day visit. Typically one day on-site with your choice of licensed contractor is all that is needed. If you will take on this role as a DIY’er check local codes & regulations to be sure this is acceptable. Time on site with a DIY’er may take more time than with licensed contractors. Larger systems may require additional days and or additional manpower. Storm, surge or water damaged systems may require additional days and or manpower. Upgrades to the latest technology (connected home etc) will require additional days and manpower. Classroom training is also available for ALC Lighting in our South Carolina Automated Classroom. Additional classroom training is available for HAI Leviton Omni, AEgis or OnQ HMS controls or Home Automation System. These systems may require additional On-site troubleshooting training and will impact travel costs. 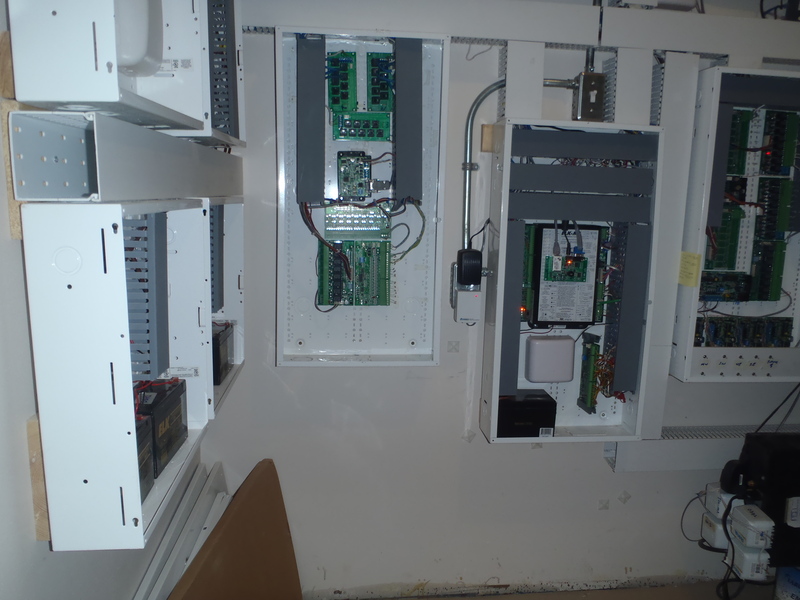 Stewart Electronics has consulted on Smart House systems and provided classroom, on-site training, troubleshooting and upgrade support since 1993. Our own line of ALC lighting products (previously owned by OnQ Legrand). 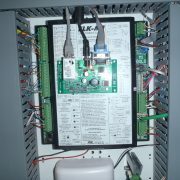 OnQ Legrand HMS800, HMS925, HMS1050, HMS950, HMS1100 Automation systems. HAI Leviton Omni LT, Omni, Omni ii, Omni iie, Omni Pro, Omni pro ii, Omni pro iie Automaton systems. 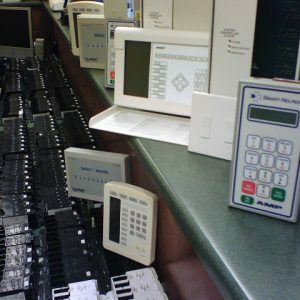 Aegis 1000, 1500, 1500e, 2000, 3000 Automation Systems. 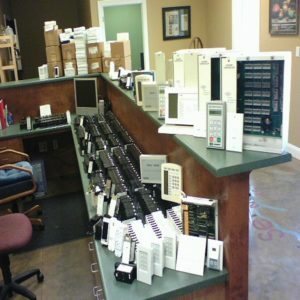 Any Brand of Access Control Systems. 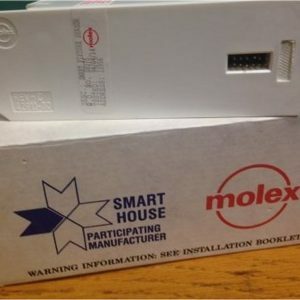 This home was Originally a Molex Brand of Smarthoouse installed in early 1994. We consulted with his licensed Contractor to CONVERT this house to state of the art lighting and Automaton. Existing wiring was used. No new cable Runs or Drywall work was needed. The lighting was replaced with our ALC lighting products and is controlled by the HAI Leviton Omni Pro IIe Automation System. 2002: Met Rick when dispatched as consultant to his home by his insurance company to review a local contractor’s claim of lighting damage. 2005-Present: On-site consulting with Local Licensed Contractors on Upgrades as New Technology Becomes Available. 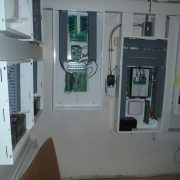 System has over 175 ALC light switches, 16 Automated Thermostats and a very advanced security, camera and sound system. This home was Originally an AMP Brand of Smarthoouse installed in early 1994. We consulted with his licensed Contractor to CONVERT this house to state of the art lighting and Automaton. Eisting wiring was used. No new cable Runs or Drywall work was needed. The lighting was replaced with our ALC lighting products and is controlled by the HAI Leviton Omni Pro IIe Automation System. Since 2005 we have continued to consult with local contractors on upgrades and also support programming changes remotely from our South Carolina Location. Homeowner Mr. Mike Bereza – San Jose, CA – Email (email is now unknown). 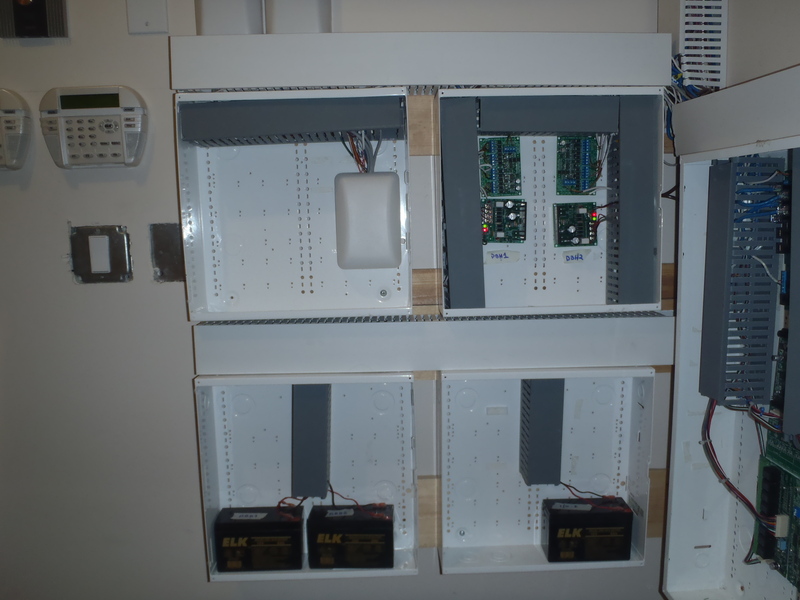 2013: Mikes obsolete system (obsolete since 1995) began to have intermittent errors where lights would “Lock On” or “Lock Off” (common errors with all obsolete Smarthouse systems).System was converted to our ALC lighting WITHOUT any automation! Meaning that a “CONVERSION” can be done using existing wiring with no holes drilled, no cables ran, and no Drywall work. The end result is that the home is easier to resell because there is no automation controls or programming knowledge required..
Mike originally had this home on the market but could not sell it because of the obsolete wiring and lighting failures (this is a common reason we assist with CONVERSIONS to LIGHTING ONLY)! After the conversion which was done by local licensed contractors he was able to see his home quickly with no price reduction. This is a very common issue. If you want to resell your home you may want to consider NOT INSTALLING a replace automation system for . your obsolete AMP or MOLEX Smarthouse. Once this conversion was completed the buyers fear of a “Complicated Home” and that they would not have local contractor support is greatly reduced! When asked about the wiring in the home, Mike was able to advise that the home was completely “Pre-wired” for a state of the art Automation System that could be upgraded in the future? This “Lighting Only” system (with wiring that supports a Home Automation System later) is actually a bonus value. 2017 Update: Mike and Carmen have retired and moved to Mexico. 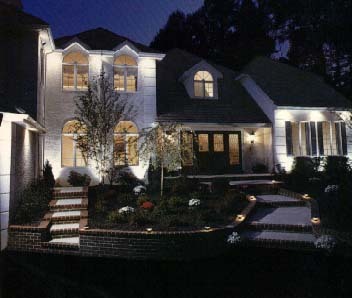 The current owner of the home waited a few years and then hired local contractors to upgrade their lighting only system to a fully automated and connected home. Our role will be to consult, train and teach troubleshooting methods. The hands-on will be done by you or your contractor. You will be charged for our travel costs only. Our on-site time is included with the purchase of the ALC Technician’s Tool Kit. Additional days on-site will impact our travel time and will be charged accordingly. We suggest you choose a local contractor with a history of integrity and dependability. We can instruct them on your system so they DO NOT need to be familiar with it at all! On-site consulting with your choice of licensed contractor. To include troubleshooting and product training. 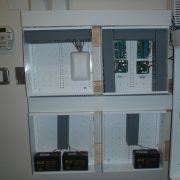 End result to include isolating and repairing any current of future lighting related problems with ALC lighting. Depending on the depth of automation with these third party products and the size of the overall system this could require additional time and resources onsite. In order to reduce surprises we begin a “pre-planning” phase where we exchange Q & A emails and review pictures of your system. Leave each customer with the ability to become dependent on local contractors and readily available replacement products. Planning for future upgrades if desired. Once this service is purchased we will provide several dates for your approval. A minimum amount of replacement parts will be sold through our website so that the on-site contractors troubleshooting training will include replacement techniques. All product purchases must be done through our web site and will not be charged sales tax outside of SC. You are expected to pay your own sales tax. No payment for parts can be made to us while on-site. Instead you will place orders for additional parts on our website. Once on-site we can finalize the quantity of parts that will be needed. The ALC Technician’s Tool Kit should be purchased before our visit. Without this tool kit it could days days to identify failed ALC lighting devices. We will bring specialized test equipment as needed. However, we will focus our training on methods your contractor can use to implement future repairs without specialized test equipment. Rough quantity of ALC lights installed. If you count every ALC light switch on every wall, then that will work until we are on-site to finalize this count. 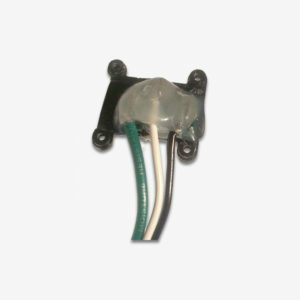 Other scene switches or interfaces related to this lighting system. Send pictures of any multi button wall switches, touchpads, keypads or any other type wall mounted keypad types.